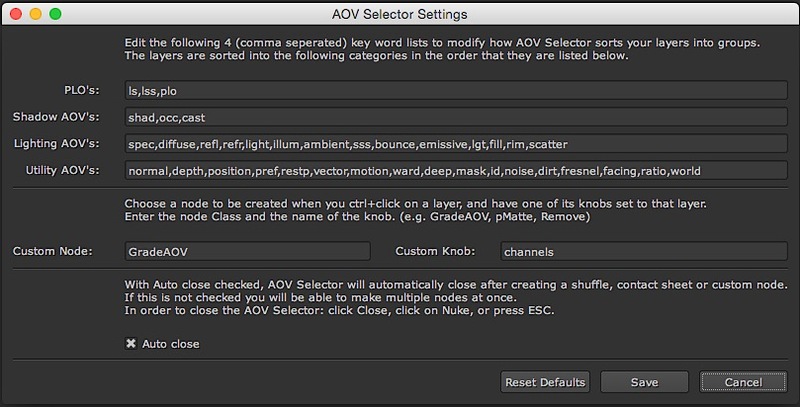 AOV selector will show you all your layers grouped into convenient lists from anywhere within your script, and allow you to search, view, and work with them. Select a node and press meta+a (windows+a on a PC, control+a on a mac), or access AOV Selector from the “Channel” menu. 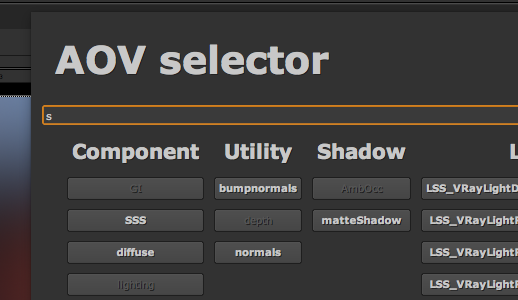 AOV Selector will pop up with all of your layers sorted into lists. You can start typing to filter the layers. Layers that do not contain the search term will become grayed out, but you can still click them. (clear search box to restore all layers). Create a shuffle node set to selected layer. Create a “Custom” node (defined in settings) and automatically set one of it’s knobs to the selected layer. (e.g. GradeAOV, pMatte). Create a contact sheet containing only the list’s layers. 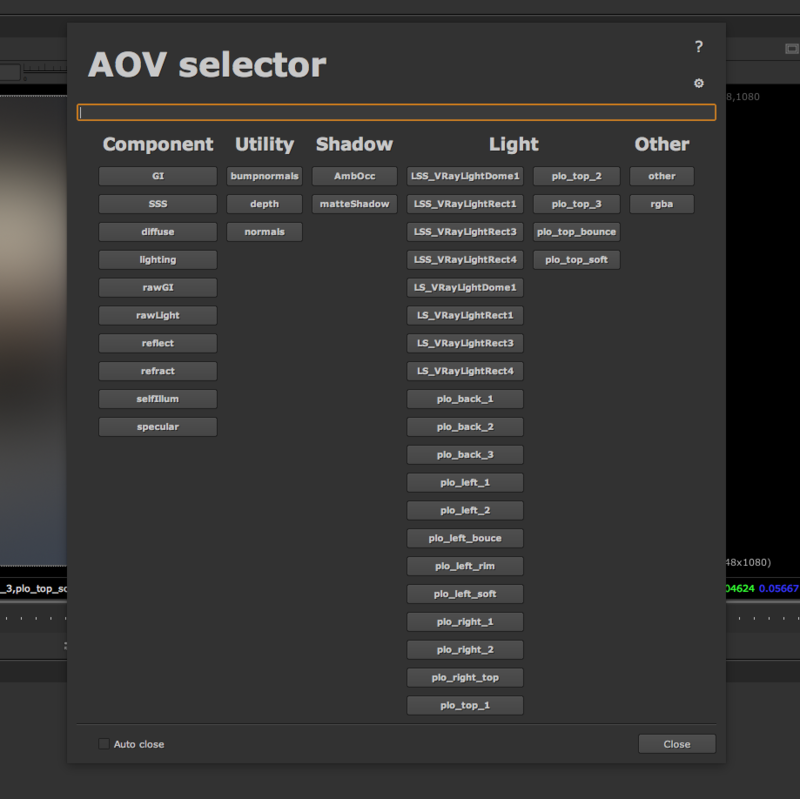 With “Auto close” checked, AOV selector will close after creating a shuffle, “custom” node, or contact sheet. Disable it to be able to create multiple nodes without re-opening AOV selector. To close AOV selector with “Auto close” disabled, click on the close button, click on the NUKE interface, or press esc. Clicking on the gear in the top right will allow you to customise how AOV Selector sorts your layers, set up a “custom” node, and enable or disable “auto close”. Copy AOV.py to a startup directory. Would it be possible to update the script to be compatible with Nuke 11? I second that, very usefull, please update it for latest version, many thanks!